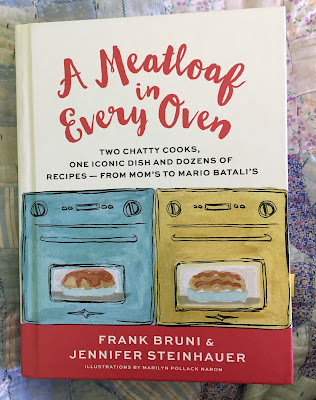 I caved and bought A Meatloaf in Every Oven by Frank Bruni and Jennifer Steinhauer, not because I wanted a meatloaf cookbook (I so didn’t) but because I’ve always loved Steinhauer’s writing and consider Bruni’s book about colleges essential, sedative reading if you’ve got a kid slogging through second half of high school. The two New York Times writers bonded over meat loaf (“In a given series of emails we’ll toggle from Senate filibusters to sauteed shiitakes, from Obamacare to oregano.”) and I expected their collaboration to be funny and clever. It doesn’t disappoint. There are chapters here devoted to lamb meatloaves, classic meatloaves, meatless loaves (tuna melt loaf, kasha loaf), and meatloaf side dishes. 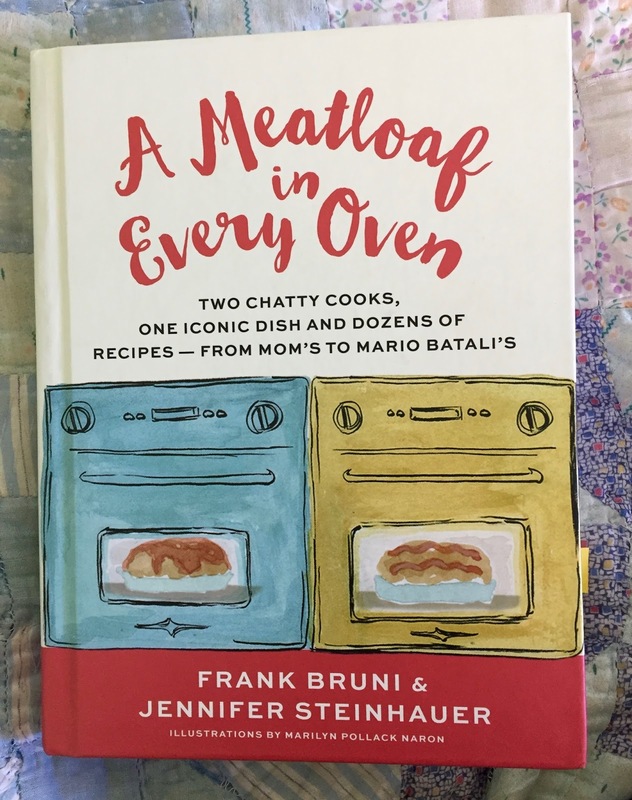 In their day jobs, Steinhauer and Bruni report on politics and the penultimate chapter collects meatloaf recipes contributed by members of Congress. Chuck Schumer cooks barbecued chicken in the same pan with his very plain meatloaf, which does not appeal to me at all. Nancy Pelosi makes a bison-and-veal loaf — “and things get mysterious with the appearance of cumin.” Paul Ryan shoots deer, grinds them up in his own power grinder, then desecrates the poor venison with Lipton onion soup mix and Progresso breadcrumbs. I’m sure it’s lousy. Paul Ryan is dead to me. Now, if Adam Schiff had a meatloaf recipe. . .
Last night, I tried out the Swedish meatball loaf, an homage to Ikea’s Swedish meatballs which I have never tasted, though apparently the company sells a billion of these “bouncy” textured meatballs per year. You flavor a beef-pork-onion-bread-egg-cream melange with nutmeg and allspice, bake, top with a creamy gravy and some raspberry jam. The meatloaf required significantly more time in the oven than indicated to reach the suggested internal temperature, but otherwise the recipe worked perfectly. Isabel (home for spring break) brought a friend to dinner and he complimented the meatloaf. It may have just been good manners, but he seemed sincere and I glowed with matronly pride. In any case, he didn’t get someone’s mother’s overcooked, underseasoned, sort of needlessly, unpleasantly crunchy, slab of meat. Really, you should read the whole story. Oh, if Paul Ryan were really Alice Waters in disguise, still he would be dead to me, too. I follow him on FB because I worry that my blood pressure is too low. I learned from him, in fact, that you can follow people whom you haven't "liked." Because I could not "like" him, even for informational purposes. You gotta keep your eye on the enemy, and I take a certain vicious pleasure in hearing that he has the palate of an armadillo (they eat carrion). I may need to check the book out because I like meatloaf, and am perfectly happy to eat it 4-5 times a year. Thank you. 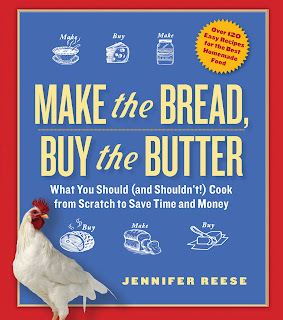 I like meatloaf, and I am curious about this book. I like to read cookbooks, so if it is well-written, and it must be, I will have to check it out. That Kirn essay is somewhat haunting. I really do believe that the Prez has dragged all of us who pay attention to him into his alternate reality, and for me, it is not a good place. I am anxious to leave it, but you know, we have to keep our eyes on that b*stard! Paul Ryan has been dead to me for some time. But his culinary habits are appalling! Walter Kirn teaches at the university here in Missoula and I've reviewed some of his works for the local paper. His pompousness and sexism bleeds through everything he does but he's still a hell of a writer. Oh, dear god, not raspberry jam with IKEA-ish meatloaf. If you can't find lingonberries, use cranberry jelly. And Mr. Ryan has the final nail in his coffin IMHO. "someone’s mother’s overcooked, underseasoned, sort of needlessly, unpleasantly crunchy, slab of meat" -- they are describing my mother's meatloaf, the meatloaf of my childhood (the crunch came from the chopped raw carrots, alas). I still don't want to make or eat any of these meatloaves, though a meatloaf sandwich might be worth it. And to think that last night I made myself muffins out of garbanzo bean flour, grated carrots, green onions, and coconut milk. Swimming sadly, trapped under a seaweed bed of boiled escarole. El Primero that Replica Rolex Watches found its way into the new era of Rolex Daytona chronographs — but not without a few modifications first, of course.The changes made to turn the high-beat El Primero into the Rolex cal. 4030 were extensive. Designer handbags First was the reduction of the beat from 36,000 vph to a more sedate 28,800 vph to allow the use of liquid lubrication, which Hermes handbags would normally. Your review of the meatloaf book finally sealed the deal for me - I love meatloaf and politics, so I will buy it. And I highly recommend to you Frank Bruni's memoir, Born Round. It is food- and family-centric and really wonderful. When I went to Sweden a few years ago, meatballs were on every single menu in every single restaurant. And the presentation was absolutely unchanging from one restaurant to the next: Meatballs, pale gravy, mashed potatoes, lingonberry jam, slightly pickled cucumber slices. It was delicious, but baffling to me that no one played around with it a little! I made the Swedish meatball meatloaf, and even my picky husband liked it. Thanks for the recommendation, Jennifer! It was good comfort food. أعمال تنظيف المنزل من الأعمال التي تسبب إرهاقًا متوقع لربة المنزل وتأخذ من وقتها الكثير، ولأننا في عصر التقدم والتطور المستمر ظهرت شركات تقدم خدمات التنظيف بأسلوب عصري يحمل بين طياته الكثير من التقنيات الحديثة الخاصة بالنظافة. وتجد شركة تنظيف بالبخار بجدة واحدة من تلك الشركات التي تميزت بإلمامها بكل حديث في عالم النظافة من تقنيات تنظيف ووسائل مستحدثة مساهمة في تقديم خدمات التنظيف، ولأنها من الشركات القلائل التي تقدم خدمة تنظيف ممتازة شهدت إقبال كبير من أصحاب المنازل والفلل والقصور بجدة للحصول على أفضل خدمات تنظيف بجدة. • تنظيف أقسام الشقة وجميع حجراتها وترتيبها بأسلوب نظامي متطور. • تنظيف الفلل والقصور بشكل شمولي فيدخل في العملية التنظيفية جميع أدوار القصر والسلالم الداخلية والخارجية والشرف والواجهات والمدخل والبوابة. • تنظيف مصاحب لاعمال تعقيم لحمامات السباحة وذلك باستخدام معدات حديثة للغاية. • كما تشتمل الخدمات على تنظيف وغسيل سيارات وتنظيف حدائق وتنظيف واجهات ناطحات السحاب وغيرها. العلم تطور وأفادنا كثيرًا في شتى مناحي الحياة، انتهز الفرصة واغتنم ما أتاحه لنا هذا العلم من وسائل متطورة في النقل تقدمها مثل شركة نقل عفش بجدة لتوفير سبل الراحة لسكان جدة والمملكة العربية السعودية.